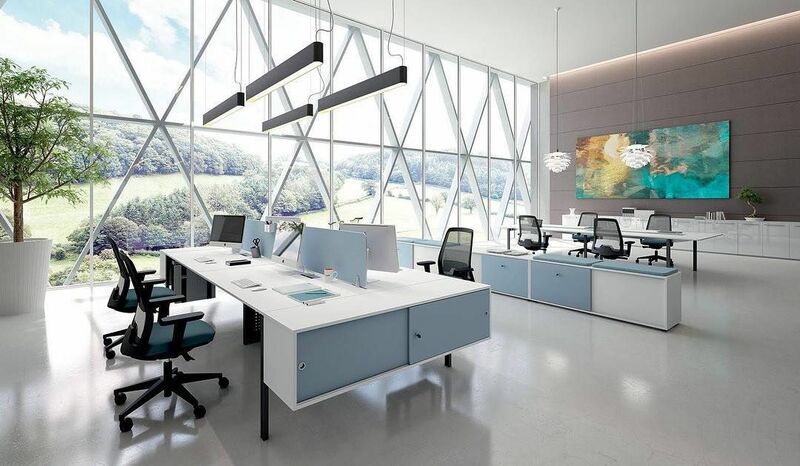 Contemporary tech offices are no longer satisfied with traditional designs of the past. In order to spark innovation and creativity, designers rather choose a bold mix of quirky, eclectic and unique decor ideas that will make the employees feel relaxed, comfortable and inspired. Here are several ideas to help you elevate your work environment to a new level. After the world found out how the great high-tech companies such as Google, Lego, Facebook, Etsy, Tumblr and many more have mastered the art of office design, it became clear that now everyone, from the smallest companies to the large multinationals, have to up their office game. It may not be possible right at your company’s humble beginnings, but you can surely venture out of your comfort zone and step into the world of brave new design. Depending on what your employees might prefer, you can create reading nooks with bookshelves, snack stations, craft tables, an indoor garden, a rooftop deck for parties but also as a place to do some blogging in fresh air, add brightly coloured seating and even beanbags for chill sessions. Variety is what will add interest, break up the daily routine but still give your employees a professional setting to complete their tasks. A contemporary office today means there’s no room for any type of inequality and when all employees are given what they need, their productivity and work satisfaction increase. Creating a multi-purpose space that promotes an inclusive company culture is something that will attract professional and talented people and give them a reason to stay. Whether you go for cubicles or a full open plan concept, by giving your employees a communal space where they can meet casually, converse, brainstorm and spontaneously reach solutions, you’ll allow them to work without feeling pressure. If you combine this with additional spaces such as a gym room, a massage parlour and a play area with a pool table and video games, you’ll be pleasantly surprised at how much all that can boost morale. In a versatile work environment, a well-designed conference room is a critical element to make a great first impression. Whether it’s a big or small company, this is the place where you will take your potential clients and partners to discuss business. In order to have a successful outcome, you need to achieve a perfect personality-professionalism balance design-wise. Instead of a boring looking room with just a long table and chairs, spice things up with a colourful carpet, a custom-made mural by a local artist and re-purposed shelves and bookcases to blend old with new. However, to ensure a high-level of professionalism, you need to enable the use of visual aids and tech devices. Every great meeting room needs to have at least one TV wall mounting installation, as well as a tech centre to use portable devices to transfer data or display a presentation. a bright and warm colour palette on walls, rugs and plants in the communal area and personalized working stations with family photos, scented candles and mugs. Use these tips and get creative in designing your tech office so everyone can feel inspired in producing innovative business solutions.